It’s never too early to start planning. No matter when your wedding is, you want to start doing some research on everything from your wedding dress to the venue, just so you have an idea regarding finances. See below for some things you should start researching and figuring out. We will link our Pinterest boards so you can start building your own as well. Disclosure: This post contains affiliate links, which means we will be compensated for links or purchases made through such links. These links are completely free for you to click on. You will not be charged. There are so many different dress styles, veil styles, and even headscarf styles. You either know exactly what you want, or you have no idea. Now is the time to use Instagram, Pinterest, YouTube and Google to really find out what you like. This goes for men’s wedding attire as well. It’s important to find out what dress style you like before deciding on theme and colors. The theme is dependent on you and your fiance’s style. It also may be dependent on the season of your wedding (which may be too early to tell at this time). This is also the time to start researching florists and decorators to make your vision come to life. Now is the time to start discussing whether or not you want a small wedding or a big wedding. Choose a number of guests you’d be comfortable with then start creating your guest list. Now that you have an idea about style, theme and size of wedding you can start researching different venues in the area that can cater to your wants and needs. Most venues include catering, but if they don’t now is the time to schedule tastings with different caterers as well. You’d be surprised that some hotels actually offer halal options, be sure to ask. There are so many new ideas when it comes to the wedding cake. Some people actually choose to forego the cake entirely, which is absolutely fine. Start researching and decide on something you both love. Now that you have an idea of your overall theme, it’s time to start getting an idea for your invitations. Many websites now give you the option to order free samples and to even have Arabic calligraphy printed on them. 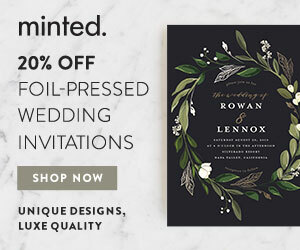 We recommend checking out <a href=”https://shareasale.com/r.cfm?b=1165955&u=2050358&m=17025&urllink=&afftrack=”>Foil-pressed Wedding Invitations</a> by Minted. You don’t need to splurge or even go somewhere exotic or even international Choose somewhere you both love and start doing some research on weather, travel requirements, hotels, etc. Start researching DJs or different dance/music groups that you’d like at your wedding. For some weddings it’s important to have both a female DJ (for the women’s side) and a male DJ (for the male’s side). This is by far one of the most important things to start researching. They will be there to capture your memories so that you can look back on them for the rest of your lives so be sure to choose wisely. These are just a few things to get you started. There may be many other categories depending on your particular vision. We hope this was beneficial to you! You may be wondering, what love languages are. We’ll get into that. Just last Friday at the Jummah sermon the khatib spoke about the importance of spirituality. He spoke about the importance of connecting with God. The fact that we have to all do a baseline minimum of praying, fasting, charity, etc. He said beyond the baseline we all excel in different areas, for some fasting may be easy, for others giving charity is easy. Positive reaffirming words work way better than negative criticism, sarcasm etc. Saying “I love you” or another genuine compliment is an affirmation of your relationship. This is giving people your presence and not being distracted with your smartphone or whatever else you are trying to multi-task. Everyone likes to be heard so give your loved one that honor. Giving gifts is a part of most cultures including Muslims. Gifts do not have to be purchased and physical, any thoughtful meaningful gift counts. Any small (or large) act you do for your spouse either on an ongoing basis or as a surprise is weighty for your relationship. It follows the adage of “actions speak louder than words”. The key thing here is that just like with gifts it is done unconditionally. Since the time we are infants to reaching old age, humans cherish touch and being caressed. Anything from holding hands, to kissing, to an arm around the shoulder to giving a hug, or to a massage are priceless. The author Dr. Chapman shares that love languages are not limited to romantic relationships it can be with family, friends etc. but as with any relationship it needs to be done with discretion, especially with the opposite gender. It’s definitely possible to cut wedding costs. The average cost of a wedding in the U.S. is $35,329 according to The Knot, and that, by the way, does not include the honeymoon. Of course, this is an average and if you live in small town USA, your cost will probably be a lot less, and if you are in Manhattan or Silicon Valley it will be even more. Needless to say, unless you are part of the one percent, this is a lot of money. No one wants a cheap wedding, but you can still make wise decisions for a quality wedding. Here are ten secrets to cut wedding costs without looking cheap. Cut down number of guests. Winter and Spring over Summer and Fall. Online invites, skip the custom-printed invitations over fancy invites. Forget gold and diamonds and go for sterling silver or cubic zirconia or man made diamonds or semiprecious stones. Wedding cake. Forget 7-tier get a sheet cake or a 2 tier non-wedding cake. Hair and makeup from a cosmetic student. Watch out for hidden fees at venues including service, taxes, clean-up etc. There are many variables that go into a wedding, so there is no single number that can represent what you will pay. 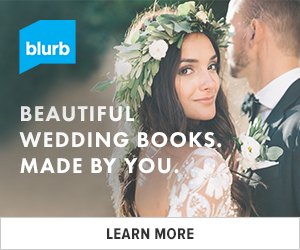 Below is an example of how to turn a $36,000 wedding budget into a $3,600+ budget. There is a direct correlation between expensive weddings and the likelihood of divorce, according to a study by two Emory University economics professors. Same applies to correlation between expensive engagement rings and divorce rates. It is the example of Prophet Muhammad (SAW) to have simple weddings and ones where the poor are also invited. Be smart, not stingy focus on quality over quantity and make it personal over mass. You can save money for things that will be of value in your relationship over the long run. Please share your thoughts of how you cut wedding costs.